The City is working to increase economic opportunities for residents who have been involved with the Justice System. In this new CityLife episode, Host Beverly B. Thompson sits down with Bloomberg Philanthropies Innovation Team Project Manager Ryan Smith and the I-team’s Outreach Coordinator Chuck Manning, Sr. to talk about two of the specific ways they’re accomplishing this lofty goal. 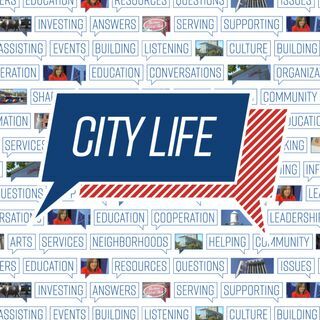 CityLife, a talk show that features information on current City issues and upcoming ... See More events, airs daily on Durham Television Network (Spectrum ch. 8 and AT&T U-verse ch. 99) and on YouTube. For more information about the City of Durham, call (919) 560-4123, like on Facebook, and follow on Twitter, Instagram, and Nextdoor. City Life is now an audio podcast! Find it on iTunes or wherever you get your podcast.